Kickass McAwesome: Where Else Would the Funny Go? Where Else Would the Funny Go? Today's comic is the first comic proper from our experiences at ConBust. 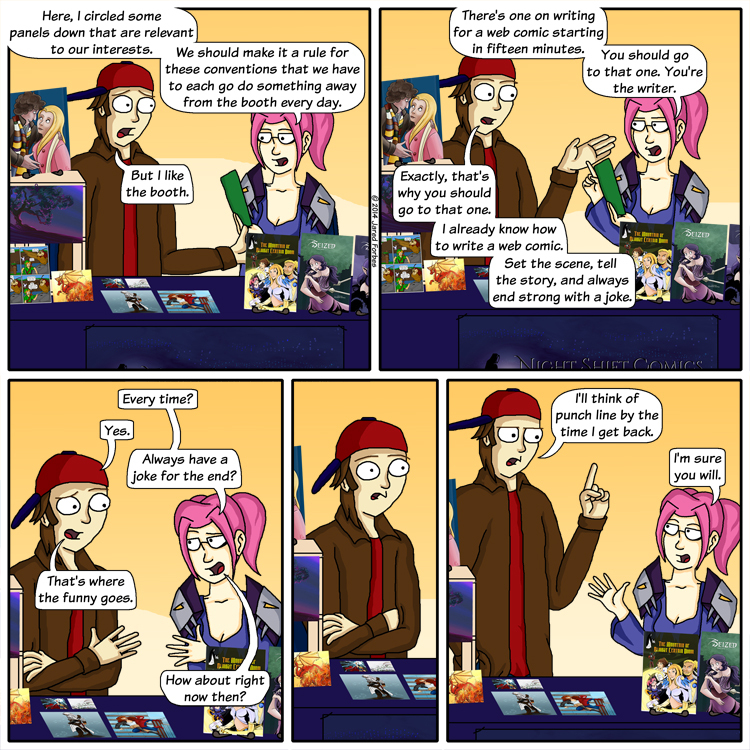 This comic is pretty much how things went down in reality including the panel on writing for a web comic. A few artistic liberties are taken here and there for the sake of comedy, but the central idea of Christina saying we should each do something to get away from the booth at least once a day rings true. When you think about it when we're at the conventions we are there to work. Setting things up at nine in the morning, and taking things down at eight at night. That's an eleven hour shift. You should probably take a break at some point.